The credit card fraud news and statistics keep evolving–and not necessarily in a good way. We cover a lot of credit card fraud news in the LPM Insider. It’s a natural topic for a readership heavily concentrated in retail and retail loss prevention. But the statistics keep changing, as do some of the suggestions to help protect yourself. So, an update and review every so often is beneficial. The latest Nilson report estimates that in 2016, worldwide credit card losses topped $24.71 billion. Barclays reports that 47 percent of all credit card fraud occurs in the United States. Fifty-six percent of Mexico residents reported being a victim in 2016. Only 8 percent of Hungarians reported being victims in the past 5 years. In general, European countries have the lowest fraud rates due to the early adoption of EMV (chip) cards. … Read the full article. … there are downsides. Developments are underway to plug the holes caused by the side effects of credit card chip technology. 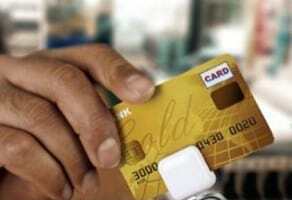 We know that the United States was late in adopting widespread use of EMV (chip) credit cards. Finally, in 2015, we began catching up to the rest of the world when it came to the implementation of credit card chip technology. The results have been positive. According to Visa, counterfeit credit card fraud dollars at US merchants that completed the chip upgrade dropped 76 percent between December 2015 and December 2017. The number of US merchants accepting chip cards jumped from 392,000 in September 2017 to 2.9 million in March 2018. As of March 2018, 97 percent of credit card transactions in the United States were made with chip cards…. Read the full article. NRF estimates the retail industry loses $9.6 billion a year through fraudulent returns. Now, with the rise of “super fake” counterfeits, many retailers have also been victims of a scam where the scammer purchases an authentic item but swaps it with a fake before returning it for a full refund…. Read the full article. Findings from recent studies serve as a warning to manufacturers to review their brand protection strategy. Additionally, the physical appearance of counterfeit goods may no longer serve as a red flag that a product is fake, as additional types of bogus products closely resemble genuine goods, according to the GAO report, Agencies Can Improve Efforts to Address Risks Posed by Changing Counterfeits Market…. Read the full article. To minimize these chargeback costs, e-commerce merchants have adopted all sorts of fraud prevention measures. From investing in time-consuming manual reviews to consulting shared blacklists, e-commerce companies are constantly looking for the best way to reject every fraudulent order while approving all legitimate ones…. Read the full article.